Product prices and availability are accurate as of 2019-04-19 10:11:11 EDT and are subject to change. Any price and availability information displayed on http://www.amazon.com/ at the time of purchase will apply to the purchase of this product. Web exclusive! A Good Directions Spark Screen is a handy accessory to have for your fire pit, especially with little ones nearby. 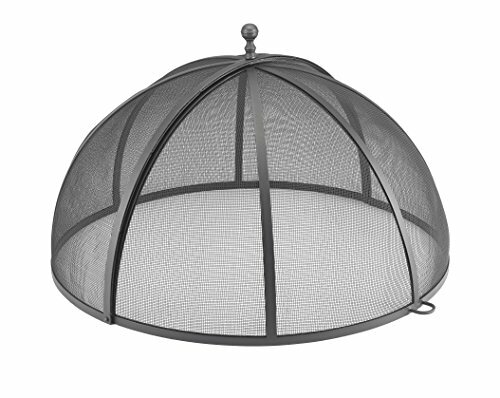 Made with intricately woven powder-coated steel mesh, this spark screen offers an added layer of protection to any outdoor fire pit blaze. 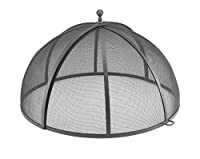 Its designed to withstand the elements and comes in 3 different sizes to accommodate your needs.